This course is meant to be a part of the Federal Basic Tax Course and the 80-Hour Basic Tax Course for the Oregon LTP state requirement. You should purchase one of the packages below if you want the full course for exam preperation and licensing requirements. This course is able to be purchased as a stand alone course for other individuals who want to learn the basics of tax law and return preparation for individuals. You can find the full packages below. The Basic Tax Course is suitable for beginner students who want to enter the tax preparation industry for the first time while offering more experienced tax professionals the opportunity to expand and build upon their existing knowledge base. Qualified and knowledgeable tax preparers are hard to find. Tax preparers must achieve a level of knowledge necessary to pass federal or state exams, but more importantly they must be able to apply tax knowledge to the preparation of tax returns. While most tax education programs offer little more than theoretical coverage of tax law, our Basic Tax Course provides in-depth education that extends beyond theory and into the mechanics of tax form preparation. Students are taught tax law, how to read tax reporting documents and how to complete tax forms. Successfully complete an approved Basic Tax Course which includes a minimum of 80 hours of instruction. 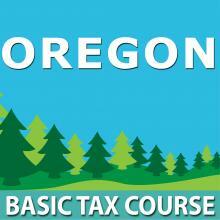 Pass an exam administered by the Oregon Board of Tax Practitioners by achieving a score of 75% or higher. Submit a license application and pay a license fee. 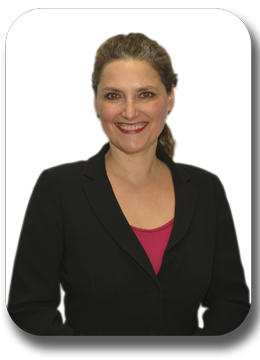 Pacific Northwest Tax School was formed in 2001 to provide quality tax education. From the beginning, our goal has been to provide an educational program that prepares students for Oregon’s rigorous LTP exam and for the real world of professional tax preparation. We believe we have succeeding in creating the best tax school in Oregon. Since 2001 the overall pass-rate of our graduates at the Oregon LTP exam has been 20 – 40% higher than the pass-rates of other local and national schools. Our overall school pass-rates in the 2008 and 2009 exam cycles were 93% and 94%, respectively. Our pass-rate for the 2013 exam cycle was 100%. The 80-Hour Basic Tax Course for Federal and Oregon Tax Law provides 120 hours of education delivered through a carefully designed online learning management system. Course content includes 59 hours of lecture video, detailed student manuals, comprehensive tax return assignments and quizzes, and answer keys with references and explanations. Recommended completion time is 14 weeks.